my newest cravings – carbs! This week, my newest obsession is cereal. But, not just any cereal…crunchy cereal! 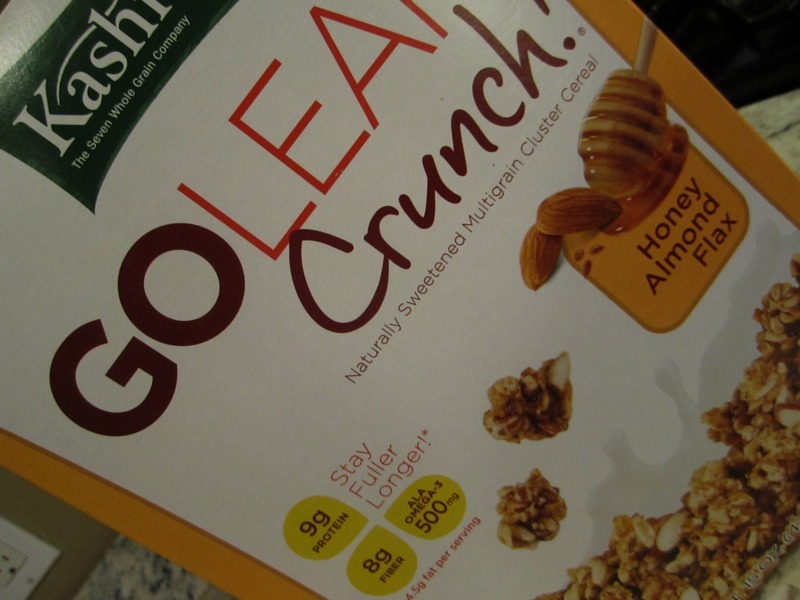 The last few days, I have been loving Kashi Go Lean Crunch – Honey Almond Flax. 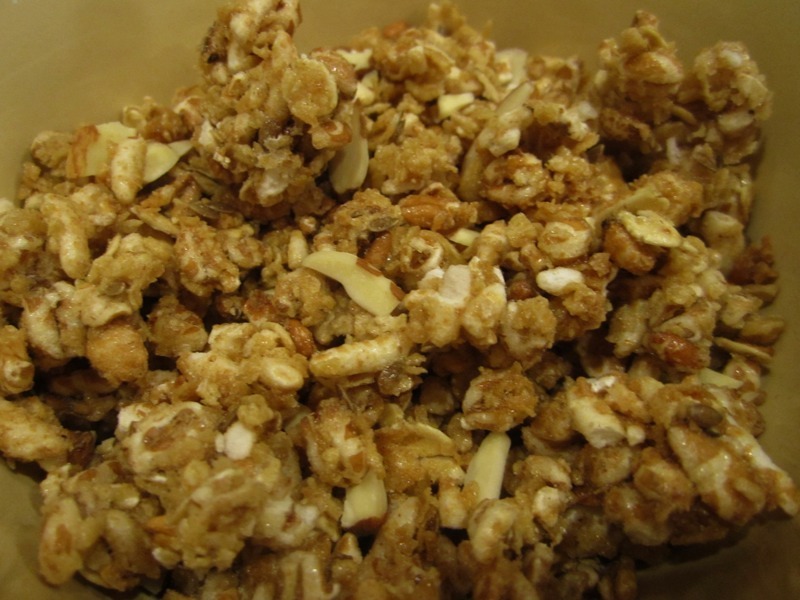 It is crunchy and sweet, without being overly sweet. 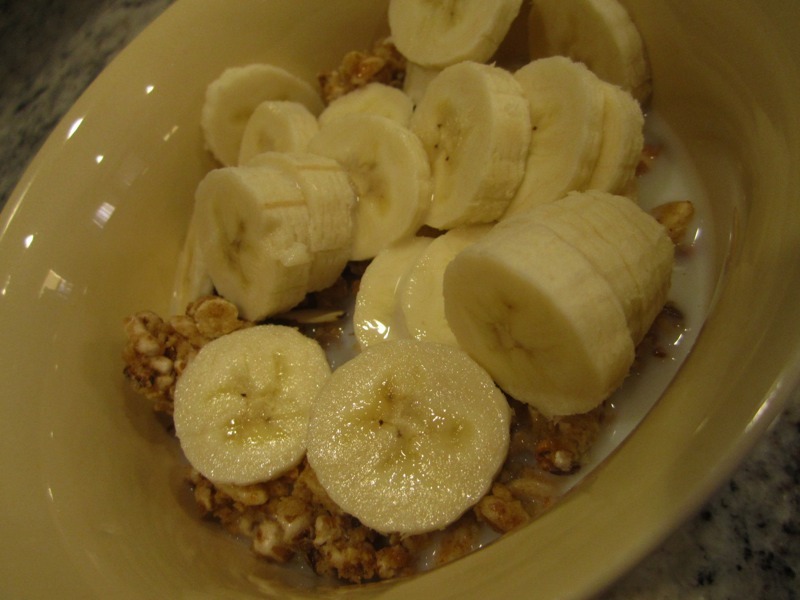 And, I love it topped with banana and served with freezing cold milk. 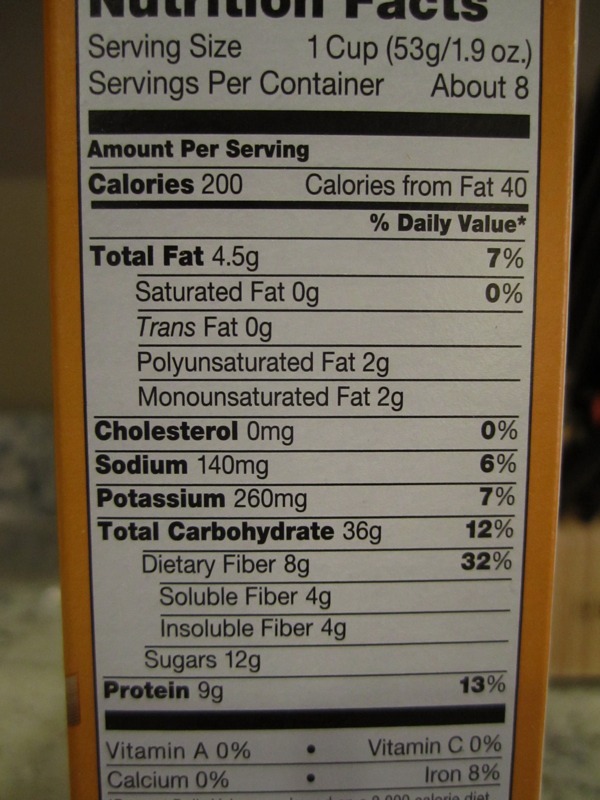 The ingredient list isn’t so bad, and the nutritionals are definitely up to par. With 200 calories, 4.5 grams of fat, 8 grams of fiber and 9 grams of protein it will keep you full and satisfied for awhile. 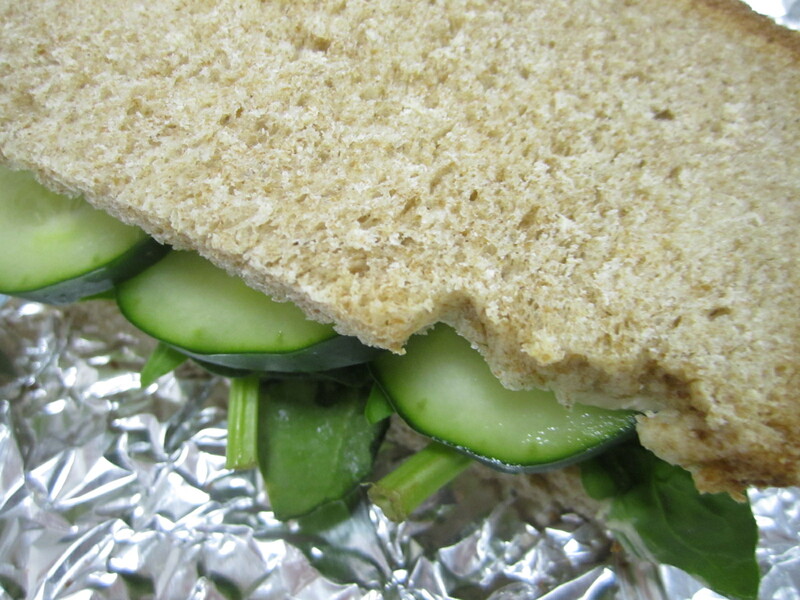 Other favorites for lunches have been hummus sandwiches made on homemade bread (made with my new breadmaker!!) filled with hummus, spinach/lettuce and cucumbers. 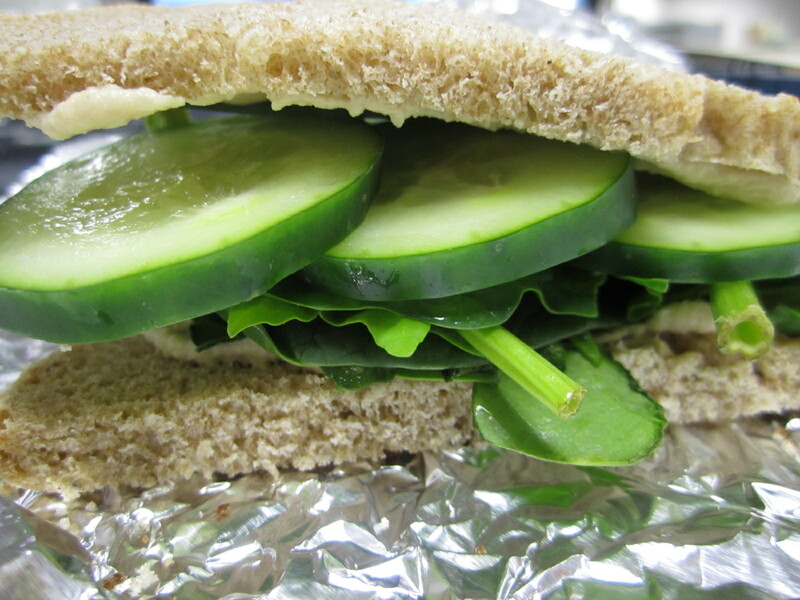 This might be my absolute favorite lunch…it’s delicious and satisfying. Two really important things! 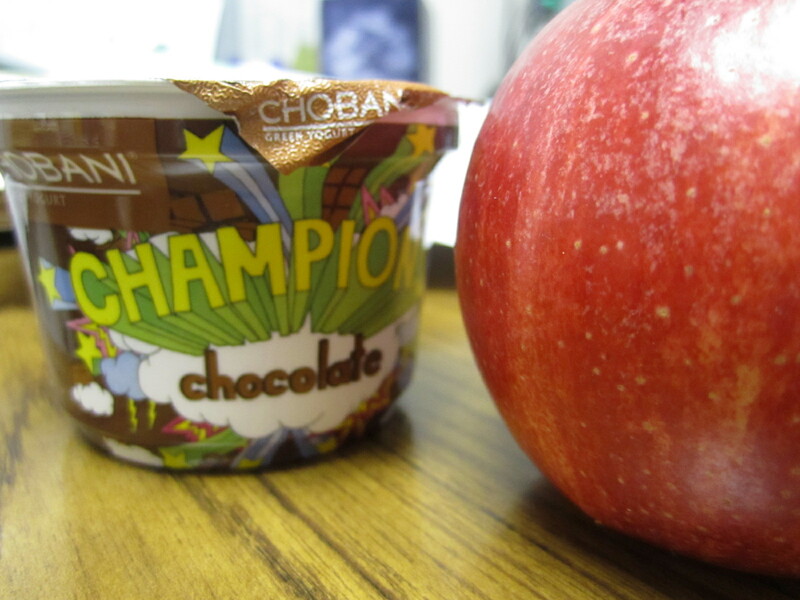 Along with my sandwiches, I try to eat a piece of fruit and a yogurt for more staying power. And, for dinners I have been craving carbs! 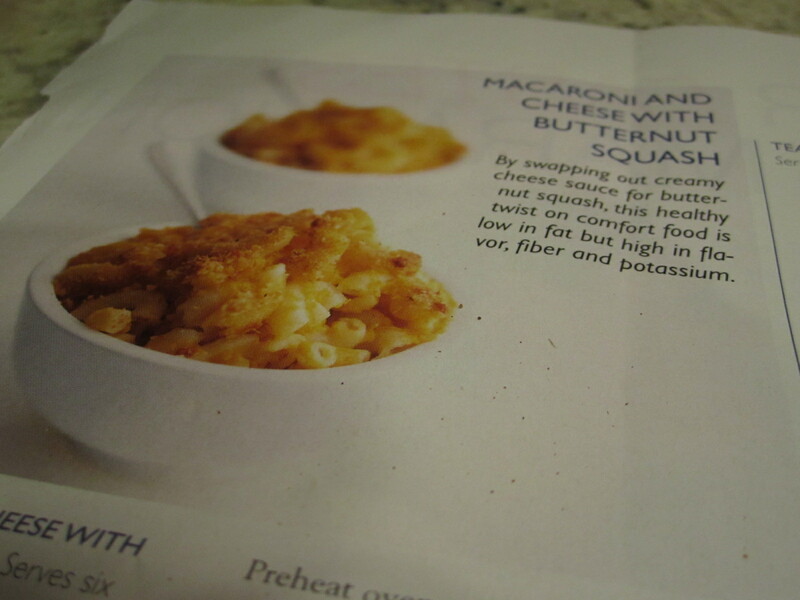 So, the other night we decided to make up a lighter Mac & Cheese that I found in my Women’s Running magazine. It was delicious! 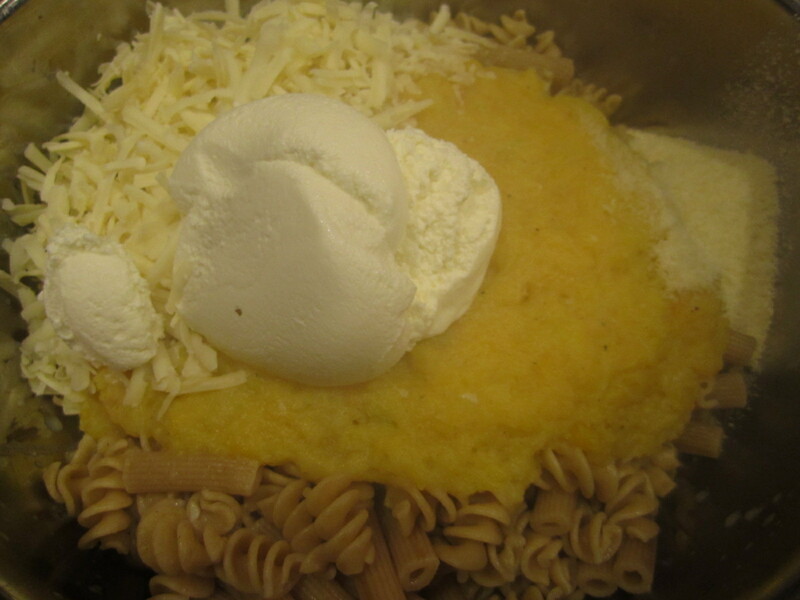 Made with butternut sqaush and a limited amount of cheese…it still tasted cheesy! 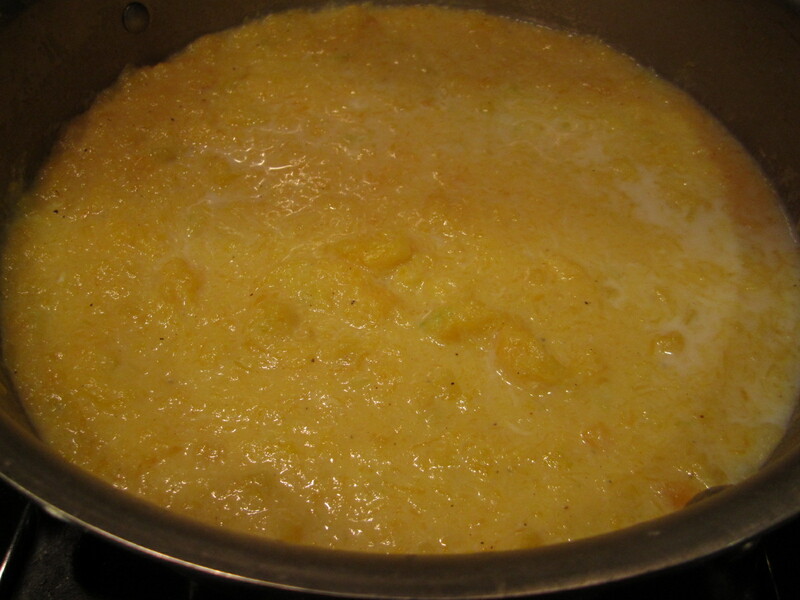 We cheated and used frozen butternut squash, which made the dish extremely simple to make. You just mix everything up. 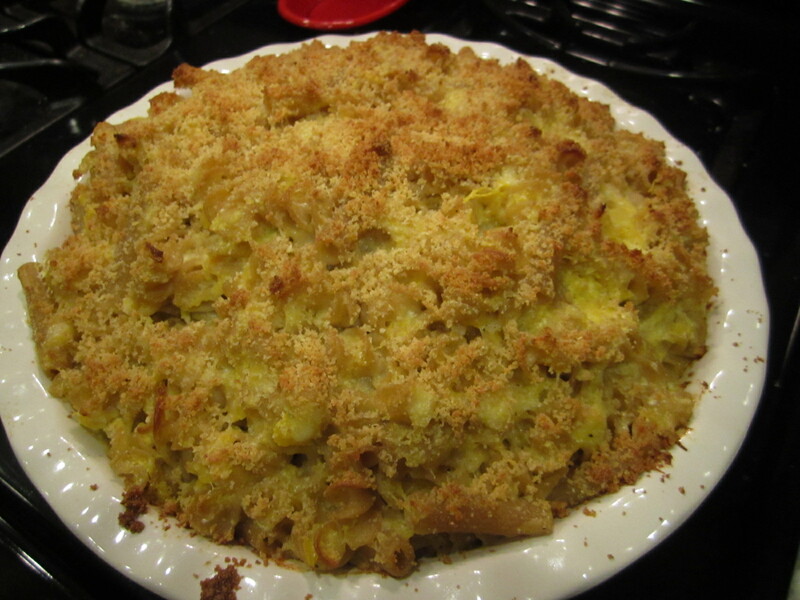 Pour into a baking dish, sprinkle on a breadcrumb and parmesan mix and bake for 30ish minutes! 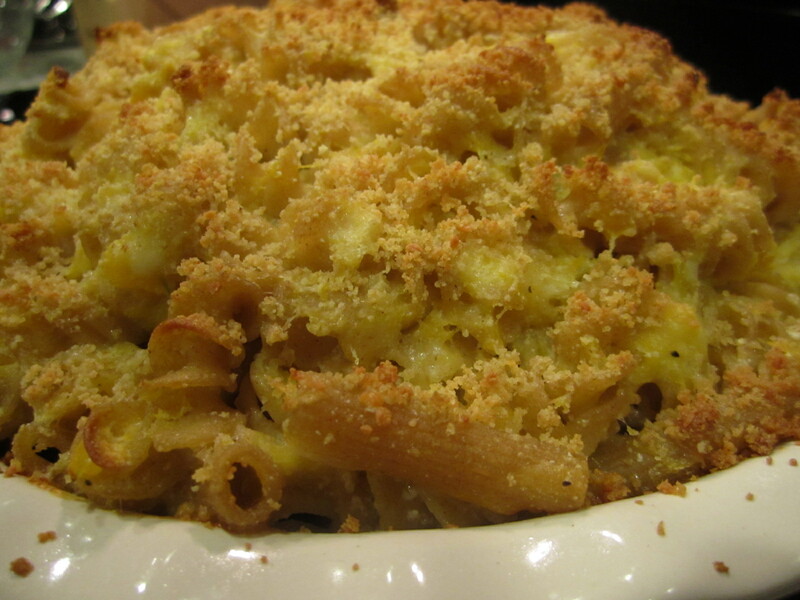 It bakes up with a crispy, crunchy top which makes a perfect mac & cheese. 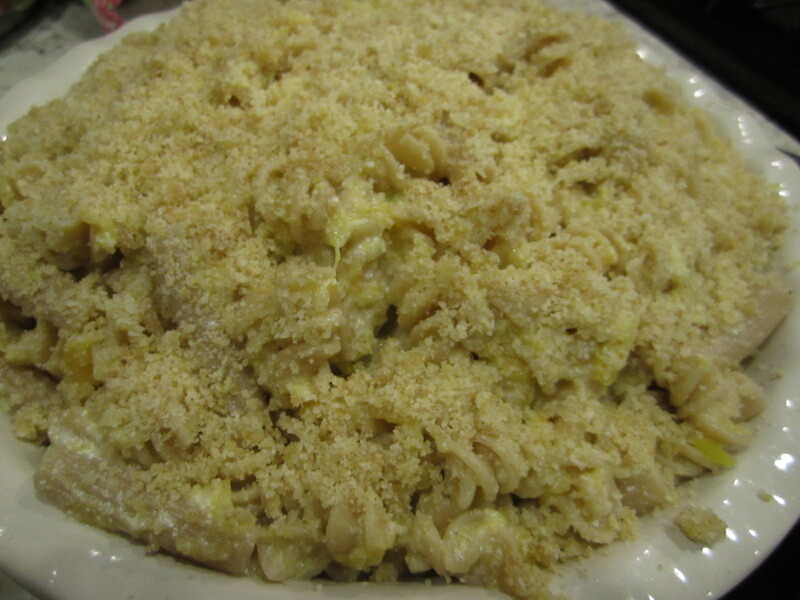 This is definitely a dish worth making…and it served us both for 3 meals!